S 7 Tools not working? This chapter has been written by Odd Einar Haugen and Robert K. Paulsen. This page contains a number of samples for the tutorial, such as a facsimile of a primary source, advice on special characters, a skeleton XML file, a Perl script for converting a simplified transcription into XML, and a selection of XSLT style sheets specifically for the Tutorial. 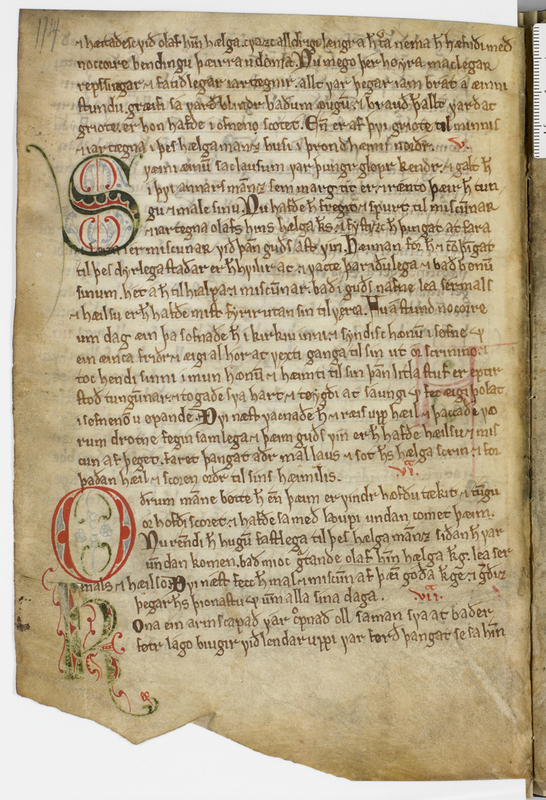 For the tutorial, we offer a photographic facsimile of fol. 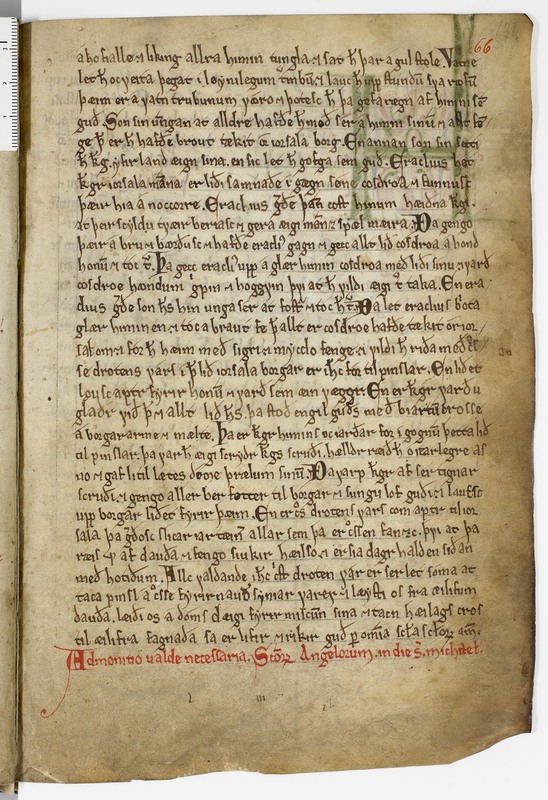 57v of AM 619 4to, The Old Norwegian homily book (ca. 1200–1225). On this page, Miracle 5 begins with the initial “S” in line 7. Please follow the instructions in your browser for downloading the facsimile. For a wide range of characters and useful fonts (several of which are free), please consult Appendix A: Characters and Appendix B: Fonts of this handbook. This XML file should be used for the transcription. It is highly recommended that your computer is connected to the Internet, so that Oxygen can continuously validate your file. As long as there is a green box in the upper right corner, the file is valid. If this box turns into yellow, the file is still OK, but contains undeclared entities. If it becomes red, there is a mistake in the encoding, so the file is no longer valid. If this happens, you should immediately try and correct the file, and if you do not succeed in this, move backwards in the versions until the file once again is valid. Oxygen will allow you multiple undo’s. MenotaBlitzS is a Perl script developed by Robert K. Paulsen. When installed, it will convert a simplified transcription to a valid XML file in a matter of seconds, as explained in the Tutorial T 3. If you have been transcribing directly in XML, as explained in the Tutorial T 2, you should skip this stage. 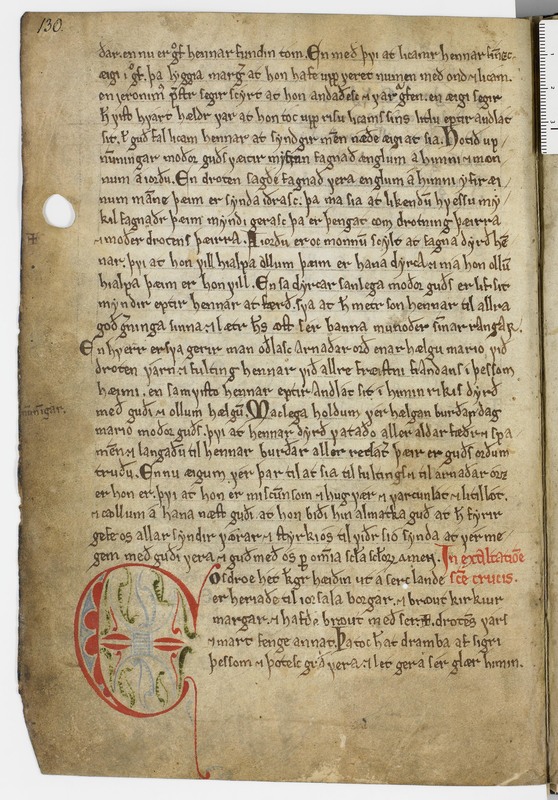 We offer three XSLT stylesheets (edited by Haraldur Bernharðsson), one for each of the three focal levels in Menota. If you have selected the simplified transcription explained in the Tutorial T 3, you can use the stylesheet for the facsimile level if you want to display the text line by line, or the stylesheet for the diplomatic level if you want to display the text in unbroken lines. First published 29 December 2016. Last updated 2 May 2017. Webmaster.